How about getting out and taking part in the National Trust's Great British Walk festival by embarking on one of 12 brand new trails in England and Wales which celebrate the life of its founder Octavia Hill (above)? Social reformer, environmental campaigner and one of the founders of the Trust, Octavia Hill spent her formative years in the East End of London. 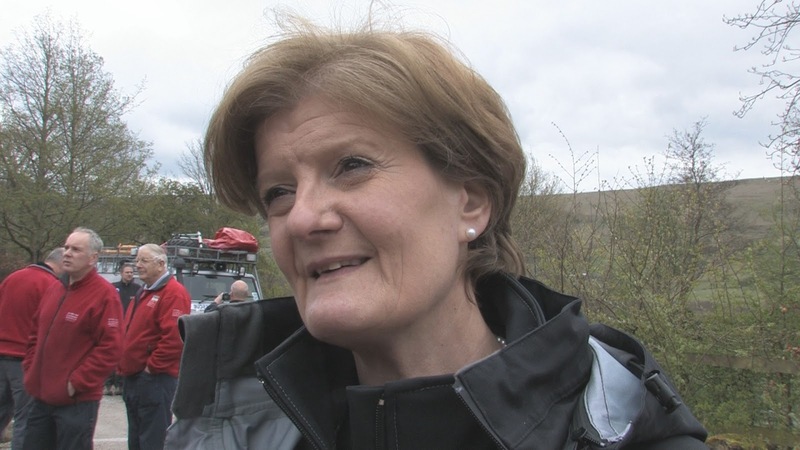 Her life was dedicated to social reform, campaigning to save green spaces and was herself an avid walker. She set up the first ever housing association, was an advocate of the importance of learning and was the founder of the Army Cadets. Along with Sir Robert Hunter and Canon Rawnsley she helped to found the National Trust in 1895. 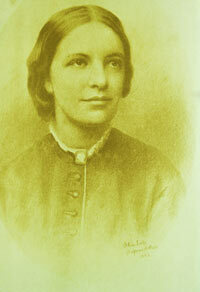 Octavia Hill died on the 13 August 1912. Ranging from a couple of miles to ten miles these walks reflect the diversity of the early sites acquired by the National Trust between 1895 and 1912. From the jaw dropping beauty of the Lake District to the coastal gem of Morte Point in north Devon and the rolling countryside in Kent, these walks capture Octavia Hill’s passion for the countryside as places of discovery, reflection and a space to recharge the batteries. Brandelhow in Lake District – this new 3.5 mile walk will follow in the footsteps of Octavia Hill who visited this beautiful landscape during the Trust’s campaign to buy Brandelhow in 1902; its first property in the Lake District. The Kent Countryside – a two-part figure of eight ten-mile walk in the heart of Kent taking in Toys Hill, which was given to the Trust by Octavia Hill, and the church at Crockham where she is buried. Morte Point in north Devon – a 2.2 mile circular walk around one of the first Trust sites in the south west of England with stunning views along the north Devon coast. Fiona Reynolds, Director-General of the National Trust, said: "Walking rejuvenates both body and mind - something Octavia Hill and her sisters knew well. They were passionate walkers and would often take long walks in the countryside. 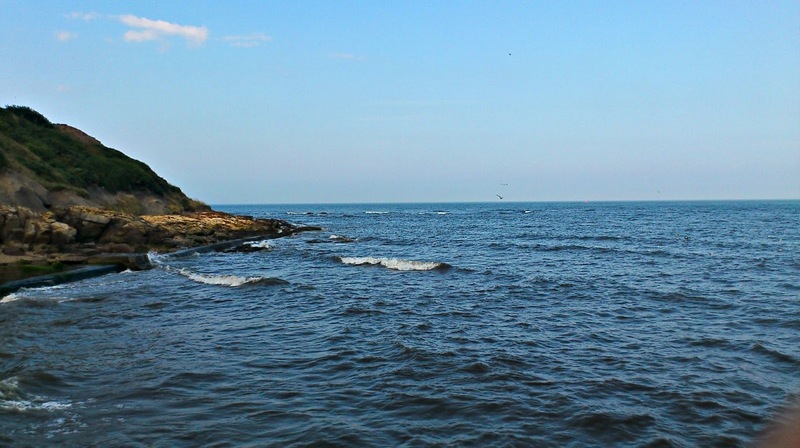 "These Octavia trails link the early jewels in the Trust crown and show some of the best places to enjoy the great outdoors and get that little bit closer to nature." 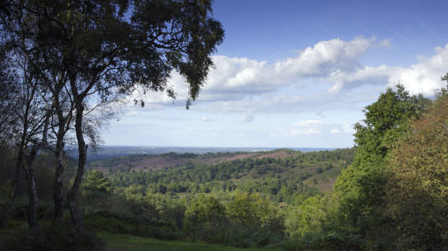 All of the walks can be downloaded for free from the National Trust website. So, I was down on the itinerary to go on a “Moonwalk” along the coast during low tide, a walk through some the green lanes of Jersey and a challenging hike along the north coast part of the Channel Islands Way. Now, for the Moonwalk, the crocs were a must, and they were fine for the roads and paths of the green lane walk – but for the north coast part of the Channel Islands Way – with its rocky coast, undulating paths and steep climbs, crocs certainly wouldn't have been my choice… Brasher Fellmasters yes, crocs a definite no. I had visions of blisters; of broken nails; of rubbed feet unable to convey me around the rest of my trip to this fabulous island. 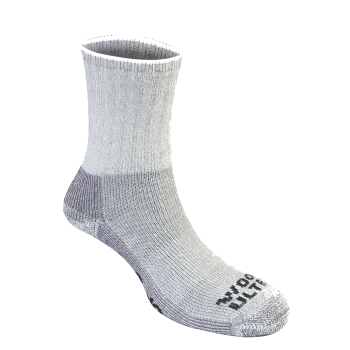 So, having these socks in my kit back to review, I decided to save them for my coastal jaunt – and I'm glad I did. Upon putting them on, it’s clear they are a great fit – not too big, which is always my bug-bear with walking socks. This means all the parts of the sock is in contact with the areas they are supposed to on the foot. The elastic around the top of the sock is judged well – not too tight as to stop the circulation to the foot, but not too loose that they fall down all the time. So, I took them out for a road test along that north Jersey section of the Channel Island Way. It’s strange attempting a path which, at times, can get quite challenging in crocs, but the socks certainly helped. Obviously, socks with crocs provides nowhere near the support wearing a proper set of walking boots does but I was able to do the whole walk I'd planned without having feet throbbing like in a cartoon. And when you think I’m walking around double the length of the 5 miles of the planned route to allow for the filming, that is no mean feat. I can happily tell you that although they aren't necessarily designed to be waterproof, they do seem to resist water quite well. Now, this might not be too important when you haven't got sidetracked and are wearing sensible walking boots, but when you're walking one of the most beautiful coastal paths in the world in crocs, it is good to know… (note to self, always check footwear in future) And when they get wet, they dry out quickly. Subsequent wares of the socks inside proper walking boots have shown them to be most comfortable, and, during walks in the cooler temperatures of late autumn, fairly warm too. So, in conclusion, they are a great ware and I certainly would recommend them for serious walkers everywhere... not just on Jersey. Edition 8 of the Walks Around Britain podcast features an insight into the inspiration behind Wastwater Photography, Mark Brigham tells us about his National Three Peaks adventure and walking expert Cameron McNeish explains how he got into walking and writing - and about his new National Trail in Scotland. Mark Gilligan is cited as one of the worlds top Landscape Photographers. A multi award winning member of both the British Institute of Professional Photography and the Royal Photographic Society, Mark is a features writer for many magazines such as 'Lake District Life', 'Lancashire Life', 'TGO', 'Country Walking' and 'Cumbria'. 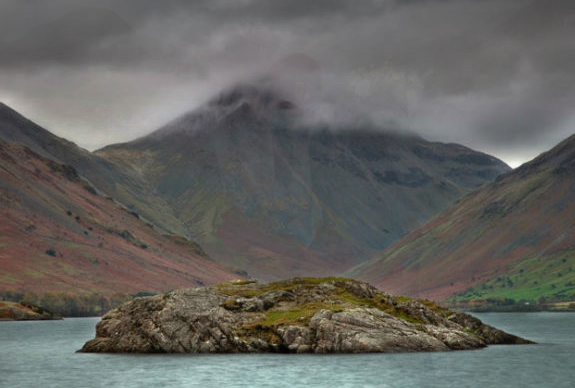 On the podcast, Mark talks about his love of the Lakes and in particular Wast Water. To find out more and to see Mark's stunning photography, visit his website here. 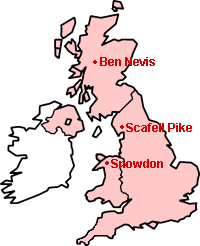 The Three Peaks Challenge involves climbing the three highest peaks in England, Wales and Scotland within 24 hours. It is a misconception the challenge takes in the three highest peaks in Britain - it doesn't - over 100 peaks in Scotland are higher than Scafell Pike, and 56 higher than Snowdon. Having said that, it is a considerable challenge, and one rated up there with several higher mountains by people who have attempted many. Mark Brigham joined Andrew to chat about his National Three Peaks adventure last year. 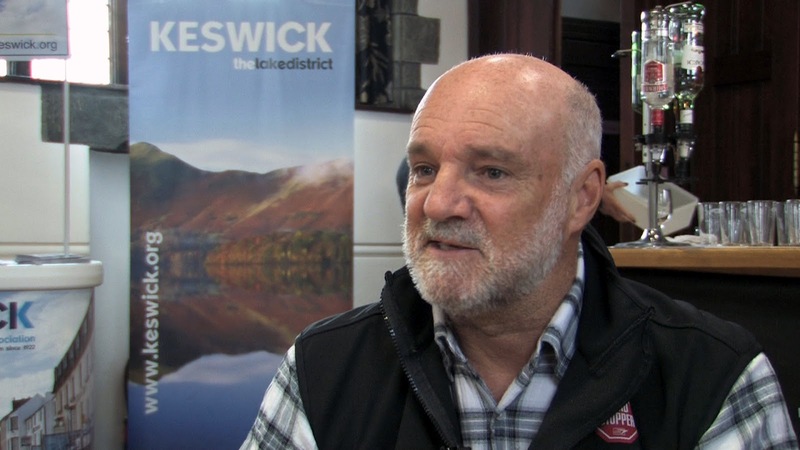 There isn't much in the outdoor world Cameron McNeish hasn't done. He's edited magazines, written books, presented television and DVD programmes, after dinner speaking, lecturing and being an adviser to various outdoor organisations. To find out about Cameron's ever growing range of DVDs and books, visit the Mountain Media site - and say we sent ya! Hope you enjoyed this month's podcast. Please let us know your comments and suggestions.